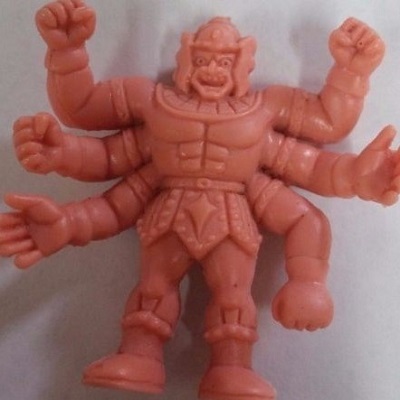 The first auction, M.U.S.C.L.E Kinnikuman Custom Robot Muscle Men Vintage, is a kit-bashed M.U.S.C.L.E. figure. This is a one-off figure, combining figures #89 and #95, with an unknown creator. It’s bigger than a normal M.U.S.C.L.E. figure. I think that’s a negative for most kit-bashed M.U.S.C.L.E. figures. Overall the figure isn’t too bad, but it probably needs the one-person willing to splurge on the $24.97 purchase. The one person that loves both #89 and #95. Is there a person with both of those qualities? I kind of like the figure but would never spend nearly $25 on it. Consider the price point of other figures. Roast Ghost was $6 and only $20 with a pound of amazing coffee. A 3-Pack of Grunts was $30 and they were cast in fantastic colors. 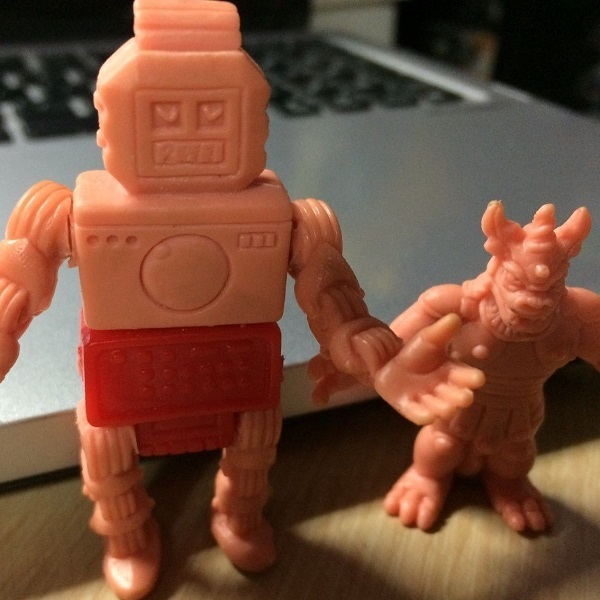 Two of the greatest modern minifigures (Stranger Minis and M.U.S.C.L.E. C.A.R.S.) were $30. Speaking of prices, have you seen this? The second auction, M.U.S.C.L.E. Men Figure SUPER RARE Ashuraman Muscle Men Figure Toy Muscle, is hilarious. It is a Flesh #129 figure. There’s literally nothing special about him. In absolutely mint condition you might be able to argue the #129 figure is worth $1. This listing is for 17,400% more than that number. In fairness, you can also make an offer for the figure. I don’t know that he’d be willing to reduce his price by 17,399% – and I think you would still be over-paying for the figure. I literally can’t imagine what this seller saw that influenced his price. He had to see something. And the laziest path for sellers is using eBay prices. But if he did that, wouldn’t he see some of the other listings? For example, the third auction, New Kinnikuman Kinkeshi Premium vol.1&Vol.2 Jump 2017 Limited Color Ver Rare, has a $178 BIN price – plus free shipping (unlike the second auction). I don’t know if $178 is a super price for these figures. Considering I spent $168.99 on Volume Two; I’m drunk on excitement and can’t be rationale. I’m literally considering making this purchase. Yes, and I don’t need to do it again. This entry was posted on Thursday, August 3rd, 2017 and is filed under Auction Watch, UofM News. You can follow any responses to this entry through RSS 2.0. You can skip to the end and leave a response. Pinging is currently not allowed.